In 1976, the Environmental Protection Agency (EPA) was put in charge of the Resource Conservation and Recovery Act which governs the disposal of solid and hazardous waste in the United States. Over the years, this important piece of legislation has seen many changes. Now, it's time for a new amendment. Organic material like food scraps are currently piling up in America's landfills, rotting and producing methane, a greenhouse gas 25 times more powerful than carbon dioxide. According to the EPA, landfills are the third-largest source of methane in the U.S., behind industry and agriculture. Across the country, cities have taken the initiative to implement mandatory composting and are experiencing environmental and economic benefits. 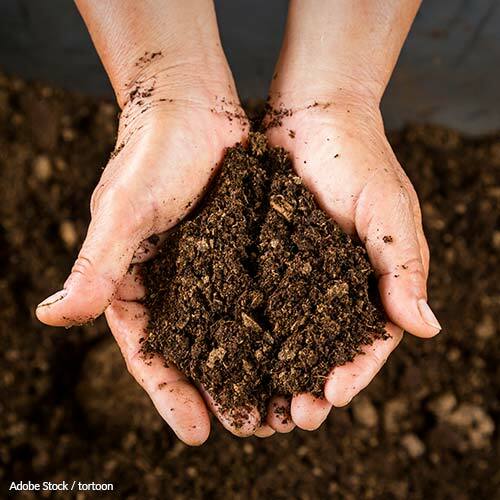 Composting puts organic material to good use, as composing produces nutrient-rich fertilizer instead of generating methane. This can help stop or even reverse the fact that one-third of the world's arable land has been lost to soil erosion. A nation-wide system consisting of many small, local or regional operations would also help create sustainable, eco-friendly jobs across the country. Composting isn't just a question of leaving table scraps separate for garbage collectors, however. Currently, the United States, 71% of composting facilities are dedicated only to yard trimmings, infrastructure inadequate and unprepared to handle food waste. Lack of funding has halted much of the progress made in the 1990s towards the creation or expansion of more composting facilities, and this has to change if a national composting program is to become a reality. Clearly, composting is as civil leaders like New York Mayor Michael Bloomberg say, the "final recycling frontier." We need the leadership of the EPA to tackle the proper management of compostable organic material. Call on the EPA to amend the 1976 Resource Conservation and Recovery Act to include mandatory composting collection of food scraps and other compostable materials and to collaborate with state and local governments to address the severe lack of funding and composting facilities equipped to receive and process food waste. New York's Mayor, Michael Bloomberg, has called composting the city's "final recycling frontier." I am writing to ask that you use your position of power and authority to create a new program for composting food waste on a national scale. To help sustain our planet, we simply cannot afford to continue throwing away our food scraps. As you are probably aware, as food rots in landfills, it creates dangerous methane gas, a greenhouse gas 25 times more powerful than carbon dioxide. According to the EPA, landfills are the third-largest source of methane in the U.S., behind industry and agriculture. Operations like these have proven large-scale composting operations can and do work. Please, amend the 1976 Resource Conservation and Recovery Act to include mandatory composting collection of food scraps and other compostable materials and collaborate with state and local governments to address the severe lack of funding and composting facilities equipped to receive and process food waste. The United States needs the leadership and vision of the EPA to tackle the proper management of compostable organic material. It can be done. Indeed, for the health of our country and planet, it must be done. That's 6,718 signatures! Let's keep the ball rolling.